707 views to the video! I am thankful to everyone who has supported/commented, rated my video. To date we have gotten 707 views!!!! yay! It’s been a journey, even if I don’t get picked I appreciate all your support! I was finally able to get the video upped after waiting 45 minutes lol. Anyway, here’s the link! I just wanted to let you guys know that I am working on the editing right now. I just checked the first clip I recorded (the intro) and that it was using old settings on the camera so it does not look good. So I am going to have to retake it now and then continue editing. We are encoding right now! Anyhow, I am still alive. The deadline for the contest entry is this weekend so I will have to work extra hard and get it done before then. Catch ya later! It’s 11:59pm here and I was just able to register the Youtube account that I will use to for my contest entry. 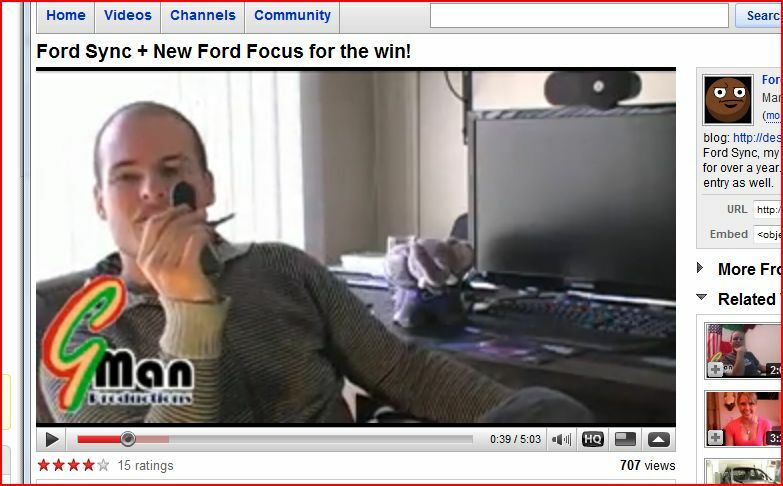 FordFiesta2011 is the Youtube channel. I am planning on doing a few test runs, as I have never ever uploaded a video not mention edit/encode it for the web. So I will keep you updated!! On other news my phone got stolen yesterday and tomorrow I will have a busy day getting a replacement and running errands. I will try to do some testing over the weekend, as well as some more scenes for the final video that I will send to Ford as my entry for the contest. This is my first post on this blog. 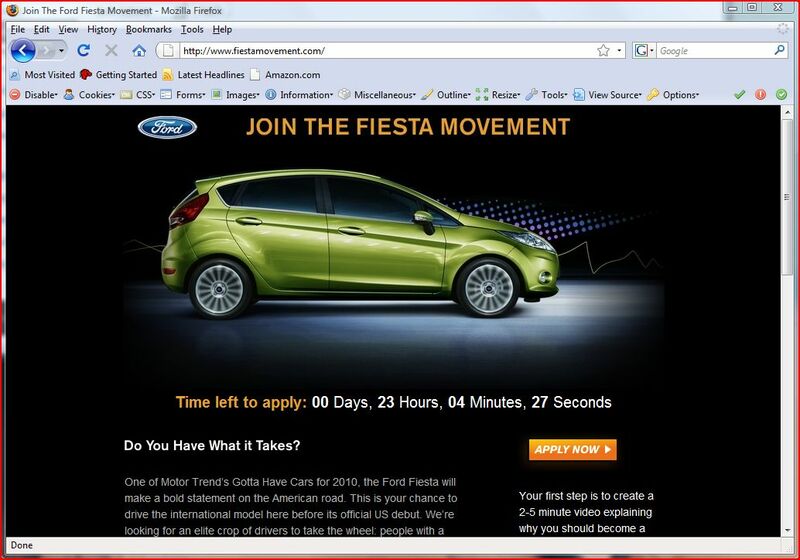 I created it with the ideal of following the progress of my application into the Ford Fiesta Movement contest. For those not aware, the Ford Fiesta Movement is a contest by Ford Motor Co. where they give the first 100 units of the 2011 Ford Fiesta to 100 lucky winners in exchange for them to keep a video log of their experiences with the vehicle. I hope that my content is good enough to make the cut, as I have never ever before recorded or edited a video. This is soo exciting!